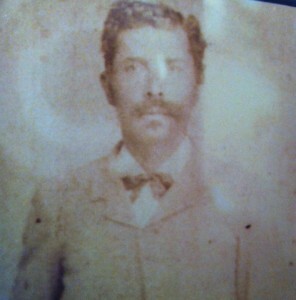 Finding Isaac Rogers – Civil War Veteran, U.S. Deputy Marshal, Relative? Isaac Rogers was killed April 21,1897 at a train depot in Fort Gibson, Indian Territory. As he stepped off of a train, Clarence Goldsby shot him once in the body and then three more times in the head. Goldbsy was never found. What a way to go out when going to pick up your check.108 years later, Ike laid dead on what appears to be a mortician’s table. The book that the picture was in was yellowed, the cover missing. It was kept in a plastic bag. I remember my dad saying that we were related to Ike, and I had questions like “Why on earth would somebody smoke him just for getting off the train? He doesn’t look African American at all – who were his parents?” There was no way I could ask these things. Dad had died three years prior. His parents, my grandparents, dead. My aunt, his sister, dead, as well as my only first cousin. I chose to call other relatives who told me that we were Cherokee and had deep roots in the nation. I also reached out to the genealogy community. The entire time I remained skeptical about it all. After a period of digging, and more conversations with relatives, I discovered that I was related to someone who was “famous.” now, In the world of genealogy, researchers are always trying to prove they are related to someone, anyone, with a “name.” I’ve never been into this. I know having a “name” can be a little dangerous. but what I found still shocks me every time I read it. Ike rogers was born about 1850 in the Indian Territory – or what is now northeast Oklahoma. 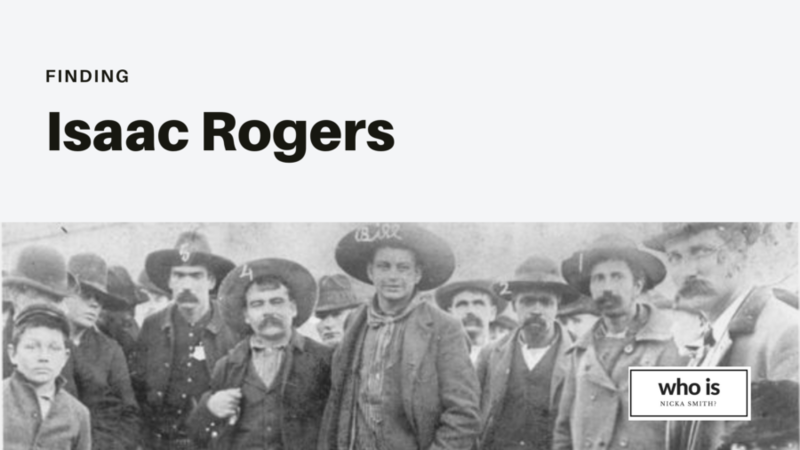 He is always noted as being a relative of Clement Vann Rogers (father of humorist Will Rogers) – I haven’t been able to verify this – and family says his mother, Martha Richardson (aka Martha May, Martha Humphries), conceived him with a man who was either caucasian or caucasian and cherokee. He was a slave of Alzirah (Elzira) Price and her husband Peter May. Alzirah was cherokee. Wait, what?!? After all the history I had read, all the classes I attended, no one had ever told me that the Cherokee owned slaves. As a matter of fact, I would later discover that others groups who are part of the Five civilized tribes (Cherokee, Choctaw, Chickasaw, Creek (Muscogee), and Seminole) owned slaves. Statistics have said that 10 percent of the people who were part of the Trail of Tears were slaves. OK. History book rewrite?!? To say that this angered me was an understatement. There was a possibility that some of my ancestors were part of such a horrible event and they were never mentioned…EVER? Bad business. Isaac Rogers, born about 1850, died April 1898. I’ve been told by a historian that this is probably the one of the only pictures of Grandpa Ike that still exists. 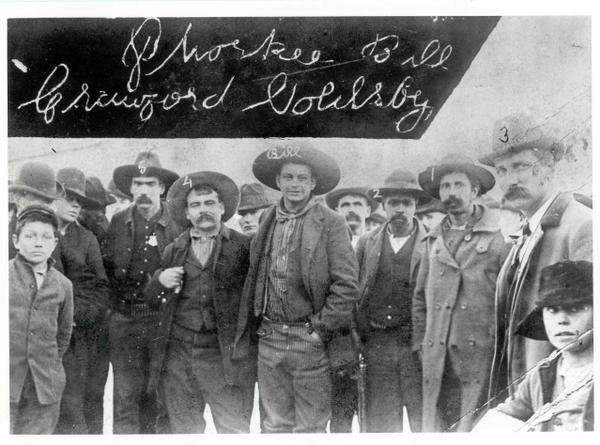 Ike eventually became a U.S. deputy marshal who rode for the infamous Judge Isaac Parker, who was dubbed the hanging judge. Remember the book with Grandpa Ike dead in it? I discovered that it detailed page after page Judge Isaac’s exploits as he hung 83 men during his tenure. That’s A LOT of people to hang. The book was an early edition of Hell on the Border. Grandpa Ike eventually lost his commission as a marshal…stories vary as to why (we’ll talk more about that later), but Ike came back into prominence due to a single act. For anyone, this would have been enough for an entry in the family file, but Grandpa Ike wasn’t through with me yet. Earlier in my search, in addition to finding out who my ancestors were, I was interested in registering as a member of the Cherokee Nation since other family members had been enrolled. Ha. If it was only that simple. Many don’t know that the Cherokee sided with the Confederacy during the Civil War. Because they were a sovereign nation within the U.S., neither the Emancipation Proclamation nor the 13th Amendment freed their slaves. A treaty was required between them and the U.S. government to do that. Although the treaty of 1866 between the Cherokee and theU.S. 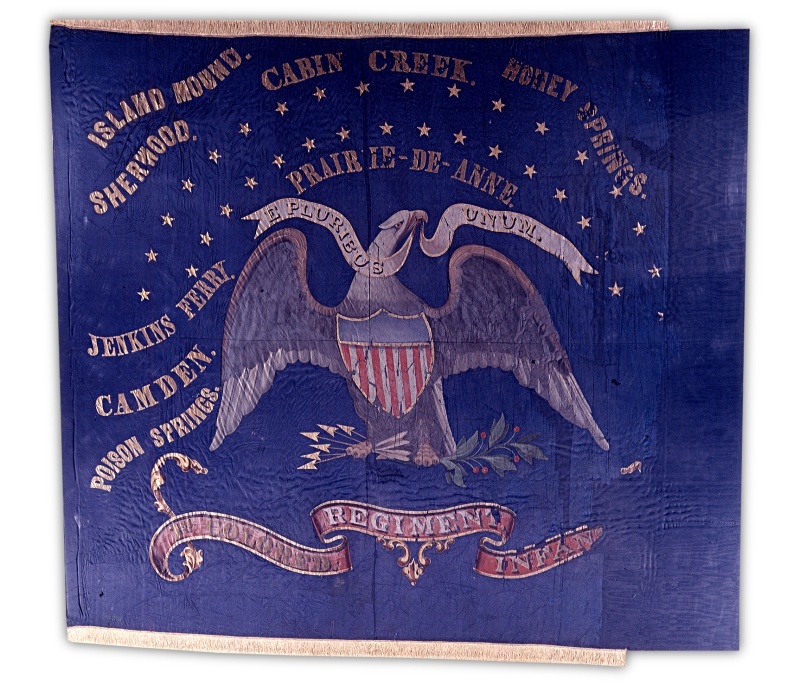 government said that “all freedmen who have been liberated by voluntary act of their former owners or by law, as well as all free colored persons who were in the country at the commencement of the rebellion, and are now residents therein, or who may return within six months, and their descendants, shall have all the rights of native Cherokees,” that treaty was only honored up until the late 1970s, early 1980s. My mother gave me a letter that was addressed to one of my great aunts. It was postmarked in 1985. 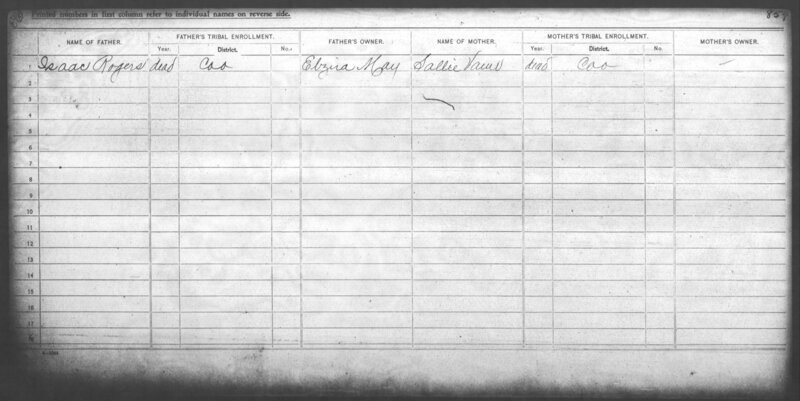 It said she had to re-enroll and apply noting an ancestor who was on the “by blood” Cherokee Dawes roll. The Dawes roll is what is used to verify eligibility for membership into the Cherokee Nation. This roll has been hotly debated regarding it’s accuracy as adopted whites and those who did not have a degree of blood were listed with a degree of blood and many of African descent who had a degree of blood weren’t listed with one and were noted only as Freedmen. The by blood and Freedmen rolls were segregated. Court battles have been brewing for years over formerly disenrolling the descendants of the former slaves. In the space of about five to seven years, I couldn’t, then I could, and then I couldn’t apply. My ancestors had returned to the nation as required, my great grandfather and grand aunts and uncles were on the rolls and even received land. Why were me and my family being denied? I became apathetic about the whole scenario. It was way too messy. I learned there were other rolls before this, including the Wallace Roll which documented Cherokee Freedmen. One day, I started peeking around at more documents and came across notations of Grandpa Ike advocating for cherokee freedmen rights. What?!? Yes! Apparently, Ike was pretty riled up about how the nation was treating it’s formerly enslaved. He wrote letter’s to the editor of the Indian Chieftain and even went to Washington, DC. to advocate. It appears as though some of his efforts lead to creation of the Wallace Roll. Eventually, Grandpa Ike ended up in front testifying in front of a Senate subcommittee on May 20, 1885. *wig across the room* To say that he was bold is not enough. He could have been killed for what he said, especially during the time at which he said it. He flat out said that the Freedmen weren’t being treated equally. The words I read made me think I was a punk for not pursuing my rights as a Freedmen descendant considering that my own ancestor was brave enough to do so when it was WAY more dangerous for him than it is for me. after slavery, the Civil War, serving as a deputy marshal, and just life in general, Grandpa Ike felt it was worth it to have rights as a Cherokee – he earned them. Why shouldn’t I? Great story Nicka! I really enjoyed the read and Ike was quite the looker.. Awesome! Thank you for the resource! I’ve only just found your blog and this entry about Ike Rogers. I’m currently undertaking a PhD in American History at Monash University, Australia, and my thesis is about the freedmen of Indian Territory who were also veterans of the Union Army. As I write this, it’s about 1.30 am on a cold wintery Melbourne morning, and I’ve been writing about Ike as a Deputy Marshal and his untimely end at the hands of Cherokee Bill’s brother. He was a remarkable man, and the more I dig into the history of Indian Territory and find more information about these men I wonder why they have been overlooked by historians. Their stories are just so full and rich. Anyway, I just thought I’d drop in and say hi. As you mentioned, this group is VERY OFTEN overlooked by historians. I think it’s because of the nature of their relation to the groups to which they were formerly enslaved. It was a fine line to walk when one would advocate for rights for their people, but yet they enslaved others and didn’t consider them a full person. It’s almost a contradiction – one marginalized group against another, you know?